Electronic submission of staffing data for long-term care facilities - Payroll Based Journal (PBJ). For technical questions on how to register, please email NursingHomePBJTechIssues@cms.hhs.gov. Additionally, CMS has posted an updated PBJ Policy Manual Draft and a list of frequently asked questions (FAQ) and answers about PBJ instructions and policies. Please visit https://www.cms.gov/Medicare/Quality-Initiatives-Patient-Assessment-Instruments/NursingHomeQualityInits/Staffing-Data-Submission-PBJ.html for more information. For policy related questions, please email NHStaffing@cms.hhs.gov. · additional clarification regarding the subsequent CMS/AMA clarification Q&A memo. Additionally, AHCA is seeking guidance regarding ICD-10 questions specific to skilled nursing facilities (SNFs). AHCA will keep you informed as we learn more from CMS. In a recent MLN Matters No. SE1521, the Center for Medicare & Medicaid Services (CMS) clarifies the authority it gives to the MACs and Qualified Independent Contractors (QICs) regarding the scope of review for redeterminations and reconsiderations for certain claims. Generally, MACs and QICs have discretion while conducting appeals to develop new issues and review all aspects of coverage and payment related to a claim or line item. 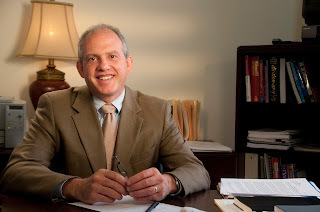 As a result, in some cases, even where the original denial reason is cured, the expanded review of additional evidence or issues could result in an unfavorable appeal decision for a different reason. This clarification and instruction applies to redetermination and reconsideration requests received by a MAC or QIC on or after August 1, 2015. It will not be applied retroactively. This summer marks the 50th anniversary of Medicare and Members of Congress are celebrating the occasion by visiting AHCA members and talking to residents about the program. Rep. Joe Courtney (D-CT) went on a tour of his district, meeting AHCA member Paul Liistro at Vernon Manor in Vernon, Connecticut. 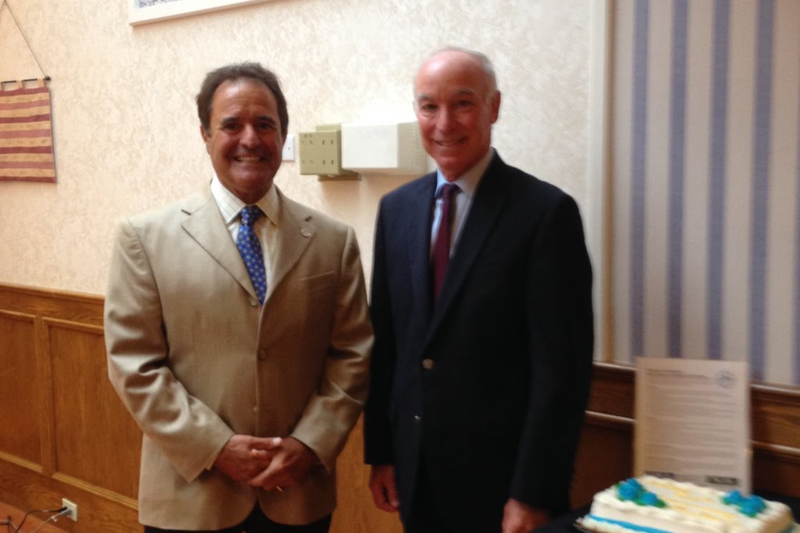 The Congressman spoke to residents and answered questions about where Medicare is headed in the future. Medicare marked its 50th anniversary on July 30th, just as Members of Congress recessed for the month of August, a time they usually spend interacting with constituents during an extended period away from Washington, D.C.
Rep. Courtney cited a increase in life expectancy over the years as a direct result of Medicare and indicated that the program still has room to expand. Members of Congress will return to Washington on September 8th to resume legislative business. A government funding package will need to be passed by the end of the month, amongst myriad other important pieces of legislation. Did you know LTC Trend Tracker allows you to schedule reports at your preferred frequency? Setting up your reports to be generated daily, weekly, monthly – or however frequently you need them – allows easy access to updated information that’s most important to you. Reference this LTC Trend Tracker video to learn how to schedule reports and always have what you need when you need it! New to LTC Trend Tracker? Need help navigating the system? Check out the LTC Trend Tracker 'Resource Center' to view help documents and how-to videos for help! Please email help@ltctrendtracker.com with questions about LTC Trend Tracker and for additional assistance. More information about the ACA can be found at IRS.gov/aca and on the AHCA/NCAL ACA website. 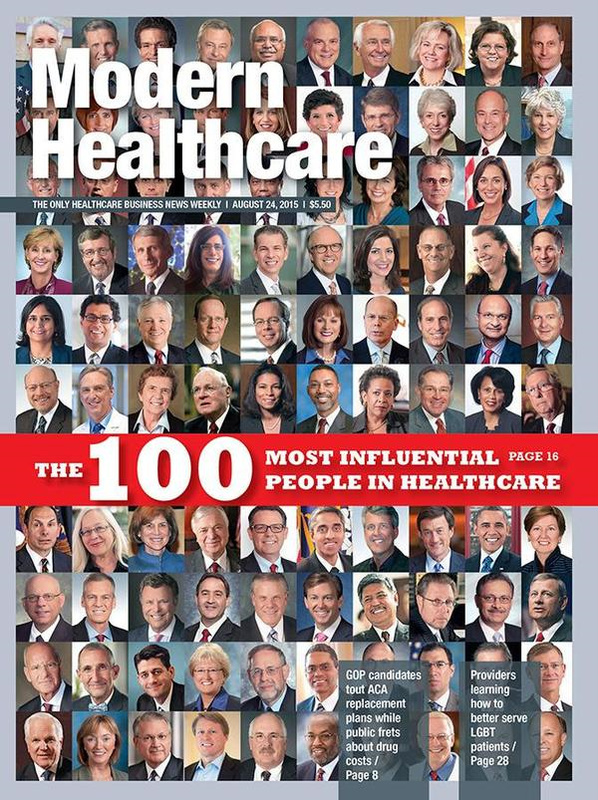 AHCA/NCAL President and CEO Mark Parkinson and five Association members have been selected for the 2015 Modern Healthcare “100 Most Influential People in Healthcare” released on Monday. 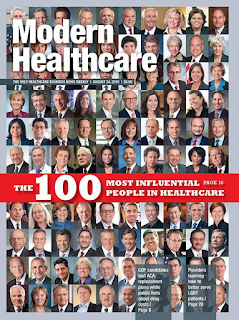 Neal Patterson, Founder, Chairman and CEO, Cerner Corp.
Mark and selected members join luminaries such as CMS Chief Medical Officer Patrick Conway, HHS Secretary Sylvia Mathews Burwell, and CMS Acting Administrator Andy Slavitt. Like Slavitt, this is Mark's first year to be named to the list. This year's honorees were chosen from a list of 300 individuals identified by Modern Healthcare from thousands of nominee submissions. The final list of 100 names was compiled based on reader votes. Click here to view the entire list of 2015 honorees. Members now have access to an updated Medicare Part A Skilled Nursing Facility (SNF) Prospective Payment System (PPS) rate calculator on the AHCA website. This tool will assist you in examining and estimating the impact of payment changes to SNF PPS rates. Using information on your distribution of Medicare Part A days by RUG category, the calculator will allow you to simulate and understand the impact of the final SNF PPS payment policy changes for FY 2016 on a facility. Please visit the SNF PPS Rate Calculator webpage and follow the instructions to prepare your rate estimates. The rates provided in this calculator are the same as those published in the Federal Register. CDC Webinar: CRE & C. difficile-Is Your Healthcare Facility Implementing the Necessary Approach to Stop the Spread? We're at a tipping point: an increasing number of germs no longer respond to the drugs designed to kill them. Inappropriate prescribing of antibiotics and lack of infection control actions can contribute to drug resistant infections such as carbapenem-resistant Enterobacteriaceae (CRE) and put patients at risk for deadly diarrhea (caused by Clostridium difficile). Even if one facility is following recommended infection controls, germs can be spread inside of and between healthcare facilities when patients are transferred from one healthcare facility to another without appropriate actions to stop spread. During this call, clinicians will hear from some of the nation’s top clinical experts on preventing antibiotic resistant infections and improving antibiotic stewardship. Join the discussion to learn about best practices that can be implemented today to protect patients from these potentially deadly infections. CRE and C. difficile: Is Your Healthcare Facility Implementing the Necessary Approach to Stop the Spread? Owners, Administrators, DONs, CEOs, COOs, executive staff, and other professionals in long term and post-acute care, will you be seated next to your peers this October? Only three weeks remain to register in advance for the AHCA/NCAL 66th Annual Convention & Expo, held October 4-7, in San Antonio, Texas. It's a fantastic event filled with unique learning, networking, and entertaining opportunities you won't find anywhere else. Earn CEUs, choose from over 20 tracks of education sessions, get new ideas, and see what happens when all the best minds in the field come together for four jam-packed days. Today, a growing number of infections are caused by antibiotic-resistant germs. In fact, these resistant germs cause more than 2 million illnesses and at least 23,000 deaths each year in the United States. 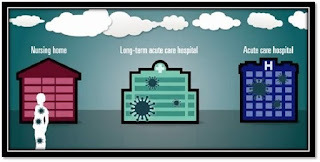 In a new video titled, “CDC Vital Signs—Making Health Care Safer: Stop the Spread of Antibiotic Resistance,” CDC spotlights how antibiotic-resistant germs are spreading between healthcare facilities, even those that are practicing infection control and antibiotic stewardship. 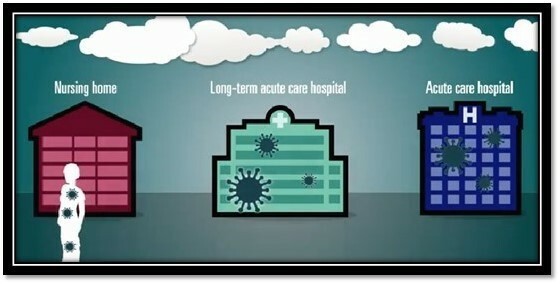 By adopting a coordinated approach, where multiple facilities in an area work together to improve infection control, enhance stewardship activities, and share information, we can reduce the spread of antibiotic-resistant germs and protect patients from infections that are difficult—or even impossible—to treat with antibiotics. CDC’s August 2015 Vital Signs report shows that by working together in a coordinated effort health care facilities and health departments in a targeted area could prevent up to 70 percent of life-threatening carbapenem-resistant Enterobacteriaceae (CRE) infections over five years. To view the complete CDC report, visit www.cdc.gov/vitalsigns. CMS has extended the comment period for the proposed rule on Requirements of Participation to October 14. The thousands of comments that have been submitted so far are helping CMS realize this is a very important issue that has a significant effect on our profession. We are making a difference, but we can't stop now. We need to continue to tell CMS that the proposed rule goes too far, demands the changes too quickly, and costs too much. If you haven't already, please submit a comment prior to the October 14 deadline using the dedicated webpage AHCA has created. The webpage includes suggested topics for commenting, instructions for filing a comment, and a link to the filing site. The webpage has recently been refreshed with new content, including a video from AHCA/NCAL President and CEO Mark Parkinson discussing the Association's efforts. In addition, there are new sample comment letters on the webpage. There also is a link to a side-by-side comparison of the proposed and current regulations. The webpage can be accessed here or directly from the AHCA website by clicking on the "SNF Requirements of Participation" link under the "Facility Resources" tab. AHCA encourages anyone with an interest in the well-being of our nation's frail and elderly to join the growing number of people who are submitting comments to CMS regarding the proposed rule on Requirements of Participation. · Your comment does not need to be very long. A meaningful paragraph about how the proposed rule will affect you, your patients and your residents will have significant impact. · The more personalized you can make your comment, the better. Use your own circumstances and your own examples to drive home your message. · As you are preparing your comment, be sure to keep the focus on the beneficiaries -- your patients and residents -- rather than on your business or operational results. That will get CMS to pay attention. · Submit your comment on behalf of yourself rather than your company or other third party. Please do not submit your comment on behalf of AHCA or your state association. · You can submit your comment electronically or by regular mail. The AHCA website provides the link for electronic submission and the address for regular mail. · Log your comment by clicking the link on the dedicated AHCA webpage so that AHCA can keep track of how many comments have been submitted. These centers, and others that participate in the program, are better equipped to implement the federally mandated Quality Assurance and Performance Improvement (QAPI) program. Both QAPI and the Quality Award Program use a systematic approach to organizational performance that focuses on leadership, responding to staff, patients and residents, and demonstrating results. You too, can participate and prepare for these requirements! Visit the Bronze, Silver or Gold Quality Award application pages to get started today! According to an August 13 McKnight’s article by Emily Mongan, the Centers for Medicare & Medicaid Services (CMS) has extended the partial enforcement delay of its “two-midnight” rule, which was set to expire on September 30, 2015. The delay will now last through the end of this year until December 31. This Medicare policy requires patients to be hospitalized for two midnights before they qualify as an inpatient, which can allow beneficiaries to qualify for SNF coverage. According to an August 13 FierceHealthFinance article by Zack Budryk, the postponement coincides with proposed changes to the short-stay rule that CMS issued in July. 1. Access to care: Medicaid enrollees report access to care that is generally comparable to that of privately insured individuals and better than that of uninsured individuals, but may have greater health care needs and greater difficulty accessing specialty and dental care. 2. Transparency and oversight: The lack of complete and reliable data on states' spending—including provider payments and state financing of the non-federal share of Medicaid—hinders federal oversight, and GAO has recommended steps to improve the data on and scrutiny of states' spending. Also, improvements in the Department of Health and Human Services' (HHS) criteria, policy, and process for approving states' spending on demonstrations—state projects that may test new ways to deliver or pay for care—are needed to potentially prevent billions of dollars in unnecessary federal spending, as GAO previously recommended. 3. Program integrity: The program's size and diversity make it vulnerable to improper payments. Improper payments, such as payments for non-covered services, totaled an estimated $17.5 billion in fiscal year 2014, according to HHS. An effective federal-state partnership is key to ensuring the most appropriate use of funds by, among other things, (1) setting appropriate payment rates for managed care organizations, and (2) ensuring only eligible individuals and providers participate in Medicaid. 4. Federal financing approach: Automatic federal assistance during economic downturns and more equitable federal allocations of Medicaid funds to states (by better accounting for states' ability to fund Medicaid) could better align federal funding with states' needs, offering states greater fiscal stability. GAO has suggested that Congress could consider enacting a funding formula that provides automatic, timely, and temporary increased assistance in response to national economic downturns. To obtain a complete copy of the report go to http://www.gao.gov/products/GAO-15-677. · Interactive Voice Response (IVR): IVR gives providers access to Medicare claims information through a toll-free telephone number. Visit your Medicare Administrative Contractor (MAC) website for information on the Provider Contact Center and IVR user guide. · Customer Service Representative (CSR): Visit your MAC website for information on the Provider Contact Center only if you are unable to access claims information via IVR. · MAC portal: Visit your MAC website for portal features and access. · Direct Data Entry (DDE): Providers that bill institutional claims are also permitted to submit claims electronically via DDE screens. Visit your MAC website for more information. · ASC X12: The ASC X12 Health Care Claim Status Request and Response (276/277) is a pair of electronic transactions you can use to request the status of claims (via the 276) and receive a response (via the 277). Visit your MAC website for more information. Lastly, CMS has released a new infographic with facts about ICD-10 coding, reimbursement, testing, and resources. Visit the CMS ICD-10 website and Roadto10.org for the latest news and resources to help you prepare. The US Department of Health and Human Services, Office of Inspector General (OIG) has released its updated List of Excluded Individuals and Entities (LEIE) database file, which reflects all OIG exclusions and reinstatement actions up to, and including, those taken in July 2015. Recently, the Centers of Medicare and Medicaid Services (CMS) issued a MLN Matters article MM9278 titled – Remittance Advice Remark and Claims Adjustment Reason Code and Medicare Remit Easy Print and PC Print Update, which summarizes important updates to electronic claim transaction codes. These codes provide either supplemental explanation for a monetary adjustment or policy information that generally applies to the monetary adjustment are required in the remittance advice and coordination of benefits transactions. AHCA recommends that billers review these updated new, modified, or deactivated codes and their respective effective dates. This webinar will discuss the FTC’s new consumer education campaign for active older people – Pass It On. The campaign is based on the idea that older adults are part of the solution, not simply the victims of scammers. Pass It On gives older adults – and people who work with them - tools to start conversations about these scams. The topics included in Pass It On are impostor scams, identity theft, fundraising fraud, health care scams, paying too much, and ‘you’ve won’ scams. This webinar will discuss the Pass It On campaign, the scams that it seeks to address, and ideas for, well, passing it on. · Learn how to recognize and prevent six different types of scams affecting older adults. · Gain knowledge about the array of free materials and resources available to educate older adults. OSHA issued a proposed rule in late July 2015 entitled “Clarification of Employer’s Continuing Obligation To Make and Maintain an Accurate Record of Each Recordable Injury and Illness”. According to the proposed rule, no new obligations are created through this rulemaking, yet the proposed rule revises the language of various record keeping requirements, including requiring an employer to maintain and make available records for the year in which the injury or illness occurred. Further, OSHA has the authority for a full year to cite an employer who fails to record an injury or illness within the seven calendar day requirement. These revisions are in response to a 2012 Court of Appeals decision. More information about the proposed rule can be seen on the Jackson Lewis OSHA Law Blog. Comments to the proposed rule must be submitted by September 27, 2015. AHCA will work with our consultants at Jackson Lewis P.C. to develop and submit comments. Last week, Senator John Thune (R-S.D.) introduced the Rural Health Care Connectivity Act of 2015 (S. 1916) that would amend the Communications Act to permit skilled nursing facilities to apply for support from the Universal Service Fund’s Rural Health Care Program (RHCP). The RHCP provides funding for telecommunications and broadband services used to provide health care in rural areas and communities. S. 1916 specifies that skilled nursing facilities be included in the definition of health care providers that are eligible to receive RHCP support. By Federal Communications Commission (FCC) interpretation, skilled nursing facilities are currently not eligible to receive these funds. The Evangelical Lutheran Good Samaritan Society is headquartered in Sioux Falls, South Dakota, and currently operates hundreds of skilled nursing facilities nationwide, many of which are in rural communities. Through Internet-based connections to its national headquarters and other strategic locations, the Good Samaritan Society enables rural patients and residents to remotely connect with hospitals, physicians and other health care providers. 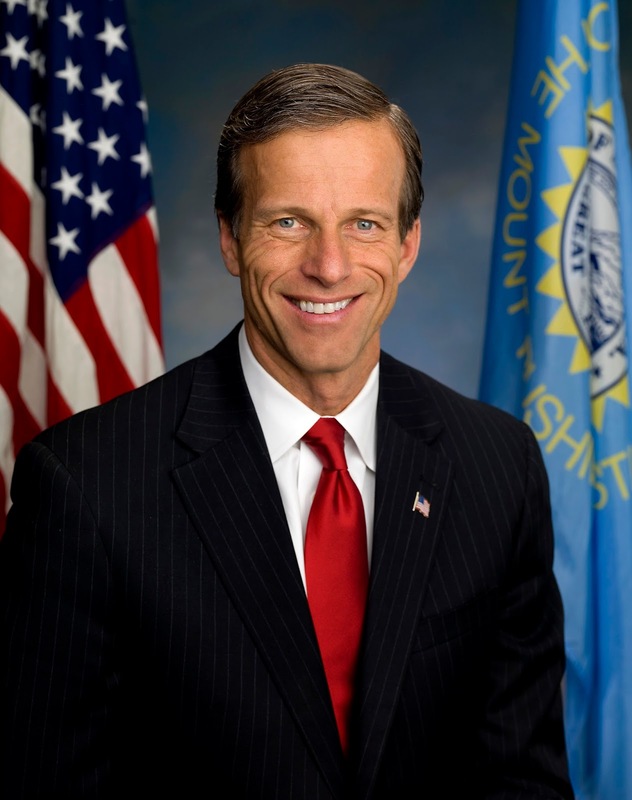 The Rural Health Care Connectivity Act of 2015 would help AHCA members such as the Good Samaritan Society provide enhanced care and services for patients and residents in rural areas throughout the country. For this reason, AHCA endorses this important legislation. The abstract of the study, entitled Waiving The Three-Day Rule: Admissions And Length-Of-Stay At Hospitals And Skilled Nursing Facilities Did Not Increase and published in Health Affairs, can be found here. For more information about observation stays and the three-day stay requirement, please visit the AHCA/NCAL website. The national prevalence of antipsychotic medication use in long-stay nursing home residents continues to decline, a report by the Centers for Medicare & Medicaid Services (CMS) shows. According to data compiled by the National Partnership to Improve Dementia Care in Nursing Homes – a public-private coalition under the direction of CMS – 18.7 percent of long-stay nursing home residents were receiving an antipsychotic medication in the first quarter of 2015 compared with 23.9 percent in the fourth quarter of 2011, representing a 21.7 percent decrease. As of the first quarter of 2015, AHCA members have achieved a 23 percent decrease in the reduction of antipsychotic use. Read the formal announcement on our website. As assisted living communities progress through the application process – achieving Bronze, moving onto Silver, and finally Gold – providers must show demonstrable evidence that their organization has a system of success. However, assisted living does not have an MDS – a universal measure for collecting clinical data among skilled nursing centers. That doesn’t mean assisted living providers can’t use data to demonstrate their commitment to quality. There are numerous comparative sources that members can use in their Silver and Gold applications, and AHCA/NCAL has compiled them into a handy list. LTC Trend Tracker – this online tool just became available to NCAL members this year at no additional cost. After registering, assisted living providers can use the Turnover and Retention Upload feature to see their staffing rates and compare those rates to their peers. CDC’s National Center for Health Statistics – The agency’s National Study of Long Term Care Providers surveys residential care communities (aka assisted living) and other long term care settings to monitor trends in the profession. Their findings offer data on residents and buildings’ characteristics at the national and state levels. Find more sources in the Comparative Data for Assisted Living tip sheet. As we all look forward to this year’s National Assisted Living Week® (NALW), we encourage you to actively demonstrate to your residents the importance of maintaining an active and healthy mind! Throughout the week challenge your residents to keep their minds engaged through increased social interactions, challenging intellectual games, and various crafts. Achieve higher levels of mental capabilities in your residents with some of these suggested cognitive activities. Games and Puzzles. Gather your residents around for a game day! Crossword puzzles, brainteasers and jigsaw puzzles are all great choices for stimulating brain activity. Other puzzles include word searches, Sudoku, and crypto quotes. Add in a little friendly competition, by having your residents solve these puzzles together in groups or teams and play for prizes. Find great NALW themed prizes for your residents in the NCAL bookstore. Social Activities. Research has shown that simple social interactions with friends and family helps to activate the mind. Organize a social retreat or event for your residents that will encourage them to interact with staff and other residents. Hobbies & Crafts. Engaging in a craft or a hobby is an excellent way for the elderly to keep their brains active and alert. Organize various craft stations based on your residents’ general interests. These crafts may include anything from drawing, painting, knitting, playing music, scrap-booking, and photography. Showcase your residents’ unique talents by allowing them to share their crafts within the facility. Finding activities that interest your residents provides them with an increased sense of enjoyment and self-esteem. Noted on the Centers for Medicare and Medicaid Services' (CMS') website, "Section 1332 of the Affordable Care Act (ACA) permits a state to apply for a State Innovation Waiver to pursue innovative strategies for providing their residents with access to high quality, affordable health insurance while retaining the basic protections of the ACA. State Innovation Waivers allow states to implement innovative ways to provide access to quality health care that is at least as comprehensive and affordable as would be provided absent the waiver, provides coverage to a comparable number of residents of the state as would be provided coverage absent a waiver, and does not increase the federal deficit. State Innovation Waivers are available beginning January 1, 2017. State Innovation Waivers are approved for five-year periods, and can be renewed. Waivers must not increase the Federal deficit." For more information on the ACA, please visit the AHCA/NCAL ACA website. Get your ticket for NCAL Day! You do not want to miss this premiere event for assisted living professionals. Held Sunday, October 4, 2015, the day before AHCA/NCAL’s 65th Annual Convention and Expo in San Antonio, Texas, NCAL Day will give you the opportunity to earn 5.25 CEUs. NCAL Day will also feature the NCAL Awards program, where deserving individuals will be recognized for their role in advancing the senior care profession. Additionally, keynote speakers will provide attendees with innovated ideas, resources and tools as well as stories of victory and success to inspire all members of your staff. Opening keynote speaker Dennis Snow will share his passion for service excellence honed over 20 years with the Walt Disney World Company. Launching a division of the Disney Institute responsible for consulting with some of the world’s largest companies, Snow also taught corporate philosophy and business practices at Disney University. 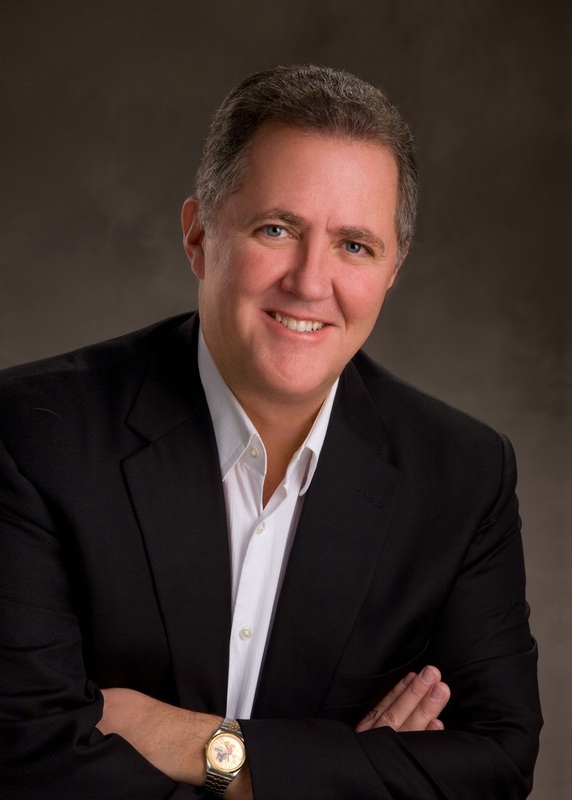 Attend NCAL Day and learn how he became ranked in the top three percent of the Disney Company’s leadership team. Closing keynote speaker Mark Schultz is an Olympic and two-time World champion freestyle wrestler and the inspiration for the critically-acclaimed movie “Foxcatcher.” Schultz’s inspiring story includes how he and his brother won more NCAA, US Open, World, and Olympic titles than any American brother combination in wrestling history, only to have his brother murdered by John E. duPont, the founder of “Team Foxcatcher.” You do not want to miss Schultz’s message of perseverance. And you don’t want to miss this must-attend event! Register for NCAL Day today! The Senate is wrapping up business this week in a special extension of the legislative session a week into August, a month typically used for recess. The House of Representatives wrapped up its legislative business last Wednesday and adjourned two days ahead of schedule. The upcoming recess puts a bookend on a last-minute rush in both chambers to act on must-pass legislation such as highway funding and other high-profile issues like the Iran nuclear deal and Planned Parenthood funding. The busy weeks of legislating, however, set up a particularly thorny mix of legislative hurdles for when lawmakers return to the Capitol in September. The three-month extension of highway funding in July placed yet another piece of unavoidable, expensive legislation in the last quarter of 2015. The GOP had internal battles over the appropriations process as well as the length and scope of a bill to fund the highway system, pushing both projects into the fall. After the August recess, Congress will have 3 weeks with only 12 legislative work days to come up with a solution to funding the government before October 1, when currently appropriated fund expire. Congress will then have one more month to create a plan to once again fund the highway system. Combined with continued efforts to alter the Affordable Care Act, defund Planned Parenthood, vote on the Iran deal, and action on a host of other hot button issues, Congress will have an extremely busy end to 2015, even relative to other end-of-year legislative sessions. “Deadline here, deadline there. But always deadlines. Management by crisis,” said Senate Minority Leader Harry Reid (D-NV). AHCA will continue to monitor these contentious funding issues to ensure Medicare and Medicaid dollars are preserved in any spending decisions. On a scheduling note, as legislative business will die down, we will only provide updates from the Hill through August as they are relevant, not necessarily weekly. Every day you go to work and make a difference in someone’s life. Your job is important. How many people can say that? Our profession is a hard one, but it’s also rewarding. We care for people who need it the most. But with that importance, also comes a responsibility. We have the responsibility to provide great care, be on the forefront of clinical standards and serve as leaders in quality health care services. That’s why AHCA/NCAL started the National Quality Award Program in 1996. The program, which published its 2016 applications on Monday, encourages continuous learning, development and quality improvement in participating centers and communities. It recognizes that quality is a continuous journey. The program’s criteria are based on the Baldrige Performance Excellence Program, a framework developed by the U.S. Department of Commerce’s National Institute of Standards and Technology. The impact of this strategic approach in health care settings has been cited in studies throughout the years (Schulingkamp and Latham, 2015, Truven Health Analytics, 2014 and Foster and Chenoweth, 2011). And AHCA research found that Silver and Gold Quality Award recipients outperform their peers in a number of key metrics (2014 Quality Report). For these reasons, the Association has also chosen this systematic approach as the essential foundation of its 2015-2018 Quality Initiative. The Initiative is about more than hitting established targets in specific goal areas, it’s about creating a systems based improvement model as the foundation of the organization; and building on that foundation to achieve success. A recent webinar that I recorded explains this in greater detail. And if that’s not enough, you may be interested in knowing that the Baldrige criteria and CMS’ Quality Assurance and Performance Improvement (QAPI) are rooted in the same principles. A 2014 article in Provider Magazine explains the alignment of the two. With the release of the regulations, QAPI is a reality that centers need to prepare for. Since the demands of the programs are similar, Silver and Gold Quality Award recipients will be better prepared to meet these impending regulations. I encourage you to visit the Bronze, Silver or Gold application pages and start the process today. The time you put into the program will improve the lives of those you employ and care for every day. 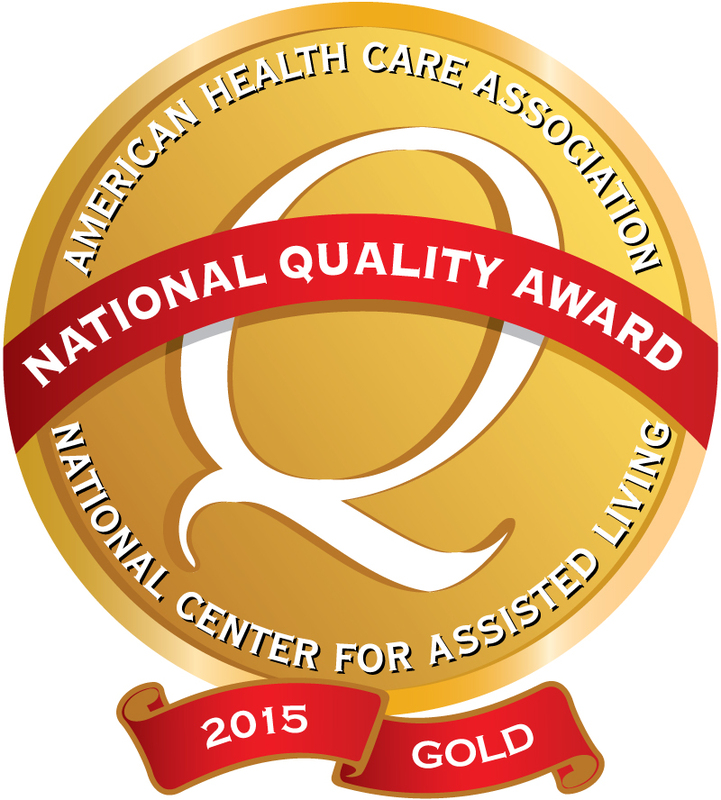 For more information, visit the Quality Award website or contact Quality Award staff at qualityaward@ahca.org. AHCA and nearly 50 national organizations sent a letter of support to the lead sponsors of the Recognize, Assist, Include, Support, and Engage (RAISE) Family Caregivers Act (S. 1719/H.R. 3099). Introduced by Senator Susan Collins (R-ME), Senator Tammy Baldwin (D-WI), Representative Gregg Harper (R-MS-3), and Representative Kathy Castor (D-FL-14), this legislation would implement the federal Commission on Long-Term Care’s bipartisan recommendation that Congress require the development of a national strategy to support family caregivers. The bill would create an advisory body to bring together relevant federal agencies and others from the private and public sectors to advise and make recommendations. The strategy would identify specific actions that government, communities, providers, employers, and others can take to recognize and support family caregivers and be updated annually. This week AHCA launched Fast Facts, a series of short, topical research briefs on patients, providers, and issues in skilled nursing and assisted living care. Our first Fast Facts characterizes skilled nursing care centers demographics, payment information, staff characteristics, and economic impact. Why is Fast Facts so useful? 1) It provides a visual overview of the SNCC industry. This can be helpful when speaking with legislators, reporters, etc. 2) It’s online. Direct anyone to the page via the URL. This is useful when populating websites, social media, and other communication vehicles. How will you use Fast Facts? Let us know. The Centers for Medicare and Medicaid Services (CMS) recently updated an educational booklet titled Medicare Claim Review Programs. This 18 page booklet is designed to provide education on the different CMS claim review programs and assist providers in reducing payment errors; in particular, coverage and coding errors. It includes an overview of the various programs including Medical Review, Recovery Audit Program, and the Comprehensive Error Rate Testing Program, as well as valuable resources.